Java Interface, As discussed in the previous chapter interface is used to get full abstraction , to solve the problem of multiple Inheritance, and by default interface is an abstraction. Java interface also follows IS-A relationship. The main advantage of the interface is to get the loose coupling. Following some points needs to be remember. Static and final keywords cannot be used inside an interface. All the methods inside interface is public. All the interface variables are final and static. An instance of the interface cannot be created. Interface from class cannot be inherited. Local variables inside interface is not possible because local variables are local to methods and method inside interface is not defined because local variables are declared in the method definition. The interface cannot be inherited from class. A class can inherit from Java Interface by using “implements” keyword. A class can implement the interface. Where printable is an interface and it has only one method that is print(). When compile the code the result will be as follows. If a class implements a Java Interface, a contract exist between class and interface. The contract is the class which has to define all the interface methods otherwise the class is abstract. When compile the program following is the output will be displayed. An Java Interface can inherit from another interface using “extends” keyword. Following is the syntax. A class can implement more than one interface at a time. In this case, the class has to provide definition for all the methods of each interface. A class can inherit from another class and implements more than one interface. For more detailed overview on inheritance click here . In the above example, the class B is becoming concrete because the test 1() method inherited from base class is full filling the contract of Sample 6 interface. 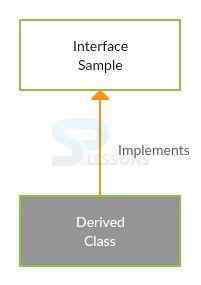 In the above example, the class is becoming concrete by overriding only test1() method.The overrided method fulfills the contract of both Sample 7 & Sample 8 interface,because the method signature are same. The following is an example to achieve multiple inheritance by using interface. In the above example, Printable and Showable are the two interfaces that have their own methods and where Splesson is the class name that implements two interfaces(there is no ambiguity). The following are the some advantages of interfaces. Interface is used to set the standardization. It is used to set the generalization. 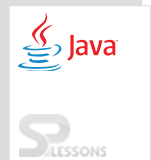 Java interfaces are used to define standards for subclass which implements it. If any subclass failed to meet the standards, then that subclass cannot exist. The interface is used to achieve the generalization of the behaviors across the sub classes while developing an application. If one comes across any features, which needs to be implemented in a different way then go for interfaces. Developing the extensibility of application features is easy and maintenance is also easy by interfaces. Using interfaces one can achieve 100% abstraction which also helps us to add new features without breaking the existing features. The interfaces are very useful in developing API’s so that customization and enhances becomes easy. Multiple inheritance problem will be done by interface. 100% of abstraction will be achieved through an interface.